Water is the unsung hero of the four main brewing ingredients. Sure, malt and hops might get all the headlines and yeast gets its own state, but beer is 90 percent water. Without a solid water foundation from a clean, reliable source, the amazing craft beers that brewers build their business on would not be possible. That’s why 21 brewers have joined the Natural Resources Defense Council’s (NRDC) “Brewers for Clean Water” campaign and taken a clean water pledge to ensure that there is a bright brewing future. Representing the brewer constituency for clean water, Jason Spaulding, co-owner of Brewery Vivant, and Ian Hughes, environmental and safety coordinator for Goose Island Beer Co., discussed the importance of clean water in the brewing process and the need to support clean water initiatives. 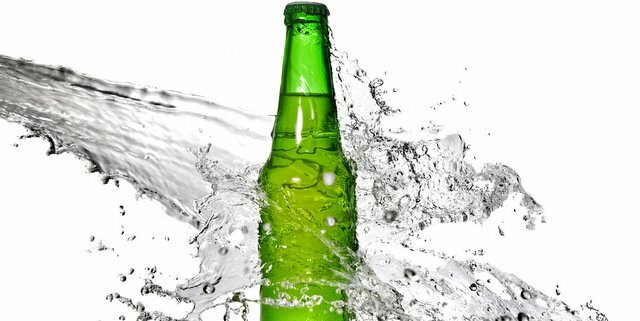 “Water is vitally important to the process of making beer itself, which uses a lot of water,” Hughes said. “The typical industry average is around 7 gallons of water used to make 1 gallon of beer. That water goes into things like cleaning, sanitation, package rinsing for kegs and bottles. Knowing the significance of water not just as an ingredient, but also as a process makes it important for us as brewers to be its stewards. As Hughes pointed out, beer is an incredible conversation anchor. Give someone a beer and they’ll listen to whatever you want to say. More importantly, the beer becomes a symbol of the importance of clean water. From the brewery operations standpoint, Spaulding explained how sustainability plays a role in every process at Brewery Vivant. It’s also good for the community that every brewery works in. There’s no downside to clean water. In recent years, attempts to roll back Clean Water Act protections have endangered not just the most important ingredient for craft beer, but also public health and resources for a wide range of industries. In joining the campaign, the brewers have taken NRDC’s “Clean Water Pledge,” acknowledging the importance of clean water and clean water safeguards. These issues are all the more important today, with the public awaiting improved Clean Water Act protections for American streams, wetlands and headwaters (which have a significant impact on larger water sources downstream). These reforms are due soon in Washington, D.C.
You can’t make great beer without clean water. That’s why our brewery is proud to join the Natural Resources Defense Council and its more than one million supporters to stand up for clean water and the Clean Water Act. Clean water is essential to more than great-tasting beer — it’s critical for public health and the health of a wide range of industries. Responsible safeguards protect the water we use to brew from upstream pollution and help us protect our downstream neighbors. Please join us. Stand up for the Clean Water Act. Because we all need clean water. With more breweries than any other time in American history, the multi-billion dollar industry brings a compelling business voice to clean water issues. Seen as rock stars responsible for beloved brews in some circles and local employers in others, craft brewers are closely tied to their communities with a very real understanding of the impacts bad policy can have on regional water sources. The NRDC plans to work with each brewery to identify outreach and policy opportunities to safe guard water and their communities. For brewers, it’s as simple as making the connection between your beer and clean water, but there’s always room to do more if brewers are motivated. A full rundown of the breweries involved can be found in our previous news story. Brewers who are interesting in joining the cause can learn more at Brewers for Clean Water website. Hops update: Acreage up big again (18 percent), but will it be enough? I am a home brewer and I use plain old tap water to brew my beer. My beer taste better than most commercially brewed craft beers but its not because of the quality of my tap water. Being able to brew beer from a local stream will certainly save the brewer money but it won’t prevent a brewer from making a good tasting beer. Lets be honest, this is about profit and its not about the environment or brewing a good beer.